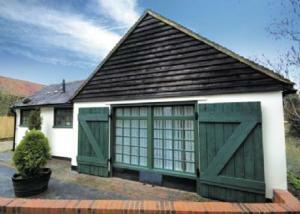 The Cowstall is a holiday home situated in Framfield, 27 km from Brighton & Hove. It provides free private parking. 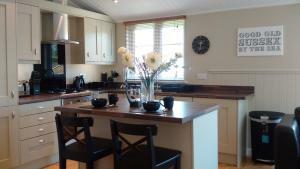 The unit fitted with a kitchen wi..
Grooms Cottage III is a holiday home with a barbecue, located in Halland. It provides free private parking. A dishwasher, an oven and a toaster can b.. The Sussex Luxury Lodge is set in Chiddingly, 25 km from Brighton & Hove. Eastbourne is 16 km away. Free WiFi is provided throughout the property and .. 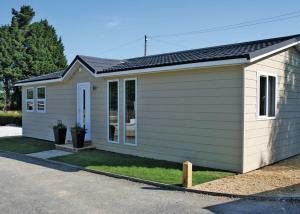 Featuring free WiFi, Golden Cross Lodges offers accommodation in East Hoathly. The accommodation features a hot tub. Brighton & Hove is 25 km away. A.. Situated in the in the village of Buxted in the heart of scenic East Sussex, The Buxted Inn offers contemporary accommodation and locally sourced food.. 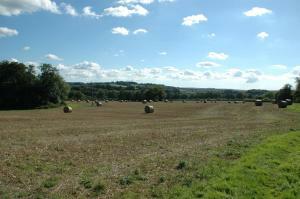 Located 27 km from Brighton & Hove, Horseshoes Farm House offers accommodation in Buxted. The unit is 27 km from Eastbourne. Free WiFi is featured thr.. Situated in Hellingly in the East Sussex Region, this holiday home is 28 km from Brighton & Hove. You can fire up the barbecue for a tasty meal and en.. 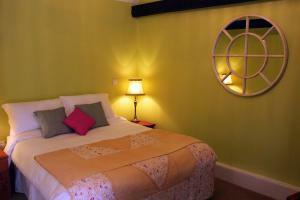 This traditional, family-run inn is situated in Horam, near Heathfield. It serves real ales and a range of wine, and boasts a huge oak veranda so you .. Situated 16 km from Brighton & Hove and 24 km from Eastbourne, Vane Cottage offers accommodation in Ringmer. Guests benefit from free WiFi and private.. 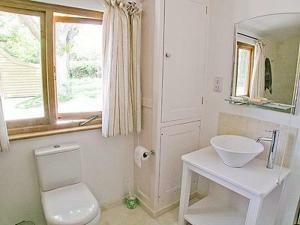 Located 30 km from Brighton & Hove, Winkenhurst Cottage offers pet-friendly accommodation in Hellingly. The property boasts views of the garden and is..
White Lodge B&B is located in 5 miles north of Lewes, just a 7-minute drive from Cooksbridge Train Station. This property is set in 10 acres of garden.. Situated in Buxted, Spring Harbour offers self-catering accommodation with free WiFi. The unit is 29 km from Brighton & Hove. Free private parking is ..
Boasting a seasonal outdoor pool, Dill Hundred Cottage is a holiday home set in Heathfield. 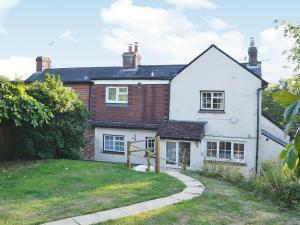 The property is 31 km from Brighton & Hove and features vi.. Situated in Buxted, this holiday home is set 29 km from Brighton & Hove. 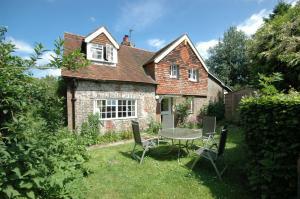 The property boasts views of the garden and is 30 km from Eastbourne. A dish..
Russets is a holiday home with a barbecue, set in Buxted. The property is 29 km from Brighton & Hove and free private parking is provided. A dishwash.. Located in Newick, this holiday home features a barbecue. The property is 19 km from Brighton & Hove and features views of the garden. A dishwasher, ..
Set in Rodmell in the East Sussex Region, this holiday home is 15 km from Brighton & Hove. The unit is 19 km from Eastbourne. Free WiFi is offered thr..